Lacuna is a creative projects consultancy led by Director Stella Ioannou, specialising in the development and production of cultural projects. Lacuna’s unique expertise includes artistic programming; curation; creative and strategic project management; fundraising; developing and maintaining stakeholder relationships and managing teams. Lacuna’s strength lies in the ability to respond to a particular brief with a creative and ambitious programme, yet one that is achievable through strict project, budget and stakeholder management. Lacuna’s reputation in the creative community as well as with the City of London corporation and local businesses has been established over the past decade through the successful delivery of Sculpture in the City and other large scale projects. These projects have succeeded in shining a welcome and positive spotlight on public spaces through a series of interventions which have excited, surprised and attracted audiences from afar as well as engaging the local communities. Lacuna was selected for the London Borough of Culture expert panel, which provides specialist strategic advice to applicants. 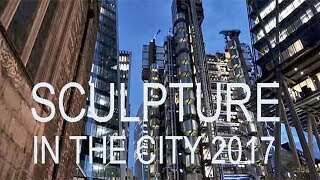 A long-standing relationship with the City’s arts community and experience delivering the first two editions of Sculpture in the City also informed Celebrate the City (2012), the Square Mile’s celebratory programme for the 2012 London Olympics for which Stella was Project Director. Alongside the core Sculpture in the City eighth edition, in 2018, Lacuna also delivered a brand new programme Musicity x Sculpture in the City that allows visitors to experience architecture-inspired music and sound art in the very place that sparked its creation. These tracks are available 24/7 simply by using headphones and connecting a handheld device to the Musicity webapp. Since 2017 Lacuna has consulted on the City of London’s Eastern City Cluster Area Strategy, an ambitious long term project devised to ensure the future of the area as a world class destination for businesses, workers and visitors. Lacuna’s involvement started with the production of a ‘Culture and Art Strategy for the Eastern City Cluster’ and, after advising on the consultation process, also developed a multi-year arts and culture programme ‘Experience the City’ encompassing a broad range of events and activities from art and architecture to archaeology, music, food and gardening, all designed to contribute to the long term success of the area highlighting the unique and dynamic history of the area and its people. Lacuna’s portfolio includes other notable projects such as the London Festival of Architecture for which Stella was Founding Deputy Director (2003-07) and for the international events agency Profirst (2007-09). Some of the highlights at Profirst include managing the accounts of leading brands including Armani, Chanel, Credit Suisse and, notably, Swarovski for their 2008 Crystal Palace in Milan following Swarovski’s invitation to world leading designers to conceive an atmosphere experimenting with the unique medium of crystal. Through these high profile, complex projects, Stella specialised in what she calls the ‘art of the impossible’, where she honed her abilities in extreme budget and client management. My background as a trained architect and dancer has informed my process and ability to develop ideas into reality. My expertise includes curation, artistic programming, creative and strategic project management, fundraising, developing and maintaining stakeholder relationships as well as managing teams. I am a member of the City Arts Initiative Advisory Board; a liveryman member of the Worshipful Company of Chartered Architects and a member of City Architecture Forum. 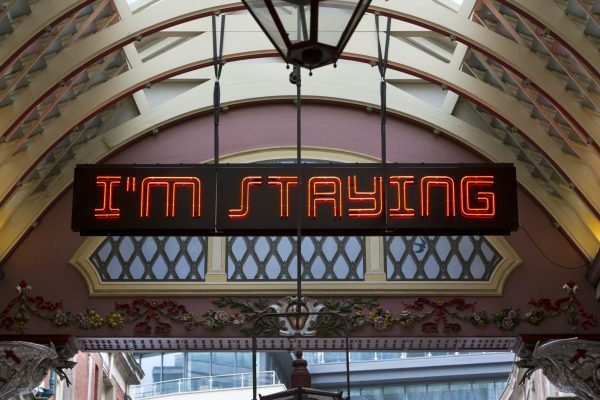 My long-standing relationship with the City’s arts community has informed my roles as Co-Director of Sculpture in the City, Project Director of Celebrate the City and Deputy Director of the London Festival of Architecture. These roles, along with Client Director at international events agency Profirst, have taught me extreme budget and client management skills and the ‘art of the impossible’. For Stella the word ‘impossible‘ simply doesn’t exist. Whatever she is trying to achieve she always succeeds due to her charm, tenacity, power to persuade and unfailing good humour. This makes her not only a great pleasure to work with but also engenders the greatest assurance that all will be well – and the end result will be the best. Which it invariably is. Sarah studied Fine Art and History of Art at Goldsmith’s College and begun her career as PA to the Programme Directors at Camberwell College of Art. Bitten by the learning bug, Sarah trained as a teacher of Art and Photography in 2008 and has since been teaching, with a special focus on learning beyond the classroom. Sarah has always been interested in how Art can engage the community outside the usual setting of the gallery and she found Lacuna through her interest in Sculpture in the City. Now, she assists with the smooth running of Lacuna’s busy diaries and projects. Maria completed her post-graduate degree in History of Art at the Courtauld in 2008. She has a wealth of experience as an independent arts professional consulting with galleries, art dealers, arts organisations, artists and collectors. Maria has worked with a number of international galleries as a sales and marketing representative at art fairs worldwide. Her skill is in establishing partnerships, developing business and building art collections. All of Maria’s work is reliant on top networking skills to create and keep contacts across the art world. Much of this she does online, but also face to face, as nothing beats a good conversation over a cup of coffee. In my experience, there is no right or wrong way in how projects come together, and no ‘method’ that guarantees a result. The one thing I have learnt over the years is that people and the relationships built with them are the beginning of what may be possible. Consultation and relationship building are at the core of how I work and it is this process that both informs and allows a project to develop organically. I strongly believe that creative projects have their own energy and that you need to feed and challenge them to allow them to grow. Over the years I have had the privilege of working on a wide range of ambitious projects and I have built a solid expertise which ensures that not much fazes me; there is always a solution! I often say it’s the constraints that define the project just as much as our ambition to push the boundaries. All the practical things, like the weight and durability of the work, become very much part of the process. How the context changes with the seasons is an interesting one, too – everything looks so different in the snow, or with a backdrop of trees shedding their leaves. 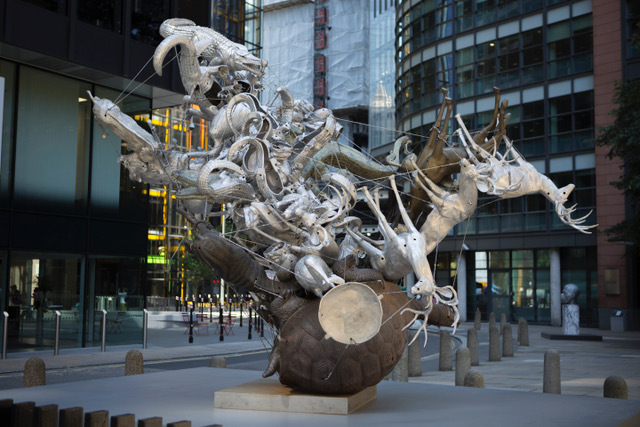 Sculpture in the City is a critically acclaimed and Civic Trust Award winning project which delivers an annual urban sculpture park in the insurance district of the Square Mile. Lacuna was first commissioned by the City of London Planning department in November 2010, following consultation with local businesses in the Eastern City Cluster keen to see contemporary sculpture brought into the area to humanize and enliven this area of high architectural quality. 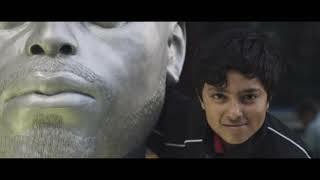 Since the project’s inception nearly 100 internationally recognized and critically acclaimed artists have been shown as part of the programme which enlivens the area and engages city workers, residents and visitors alike. The project is available 24/7 and encourages wellbeing through a better outdoor environment, and by humanizing the public spaces also discourages anti-social behaviour. The educational element of the programme allows for volunteering opportunities for the partner companies and ensures there is engagement with the local community. The tour programme engages with the local workforce and the community events engage with residents and visitors alike. The 2018 Sculpture In The City Is The Best Yet. Now in its eighth year, Sculpture in the City is maturing into one of the most anticipated events in the arts calendar. For novices, the format is simple. More than a dozen works of art, by well-known artists, are installed across the Square Mile, where they remain all summer. This year's crop feels fresher and more adventurous than ever. Big name artists such as Tracey Emin, Sarah Lucas and Marina Abramović all provide exciting pieces, which this year include sound installations. Celebrate the City (2012) was the Square Mile's celebratory programme for the 2012 London Olympics. It was a large-scale public event held between 21st and 24th June, highlighting the City of London ‘s cultural assets with an additional series of public events to encourage visitors to the Square Mile. Stella is an inspiring leader and an energetic organiser of great vision and great persistence. 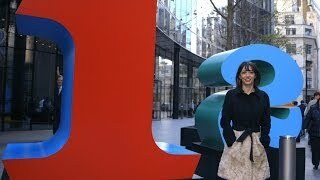 From her background in organising architectural, artistic and educational events she was chosen to direct the City of London's special Olympic year project Celebrate the City. She did so with immense flair and success. It was a demanding task to bring together, in a short space of time, so many interest groups and diverse bodies, and to lead them towards a common idea of what a celebratory event for the widest possible audience could be. She achieved this with great diplomatic skill and persuasion, and the result was a unique contribution to the City of London's profile in 2012 which expanded the range of the City's cultural offerings and attracted audiences from beyond the Square Mile, opening its riches to all. The very first London Festival of Architecture was the Clerkenwell Architecture Biennale which took place in 2004 and lasted ten days. Its central focus was illustrating how the past determines the future and was based in the Clerkenwell area highlighting the concentration of architecture practices in the area. It included lectures and talks from Zaha Hadid, Peter Ackroyd and Deyan Sudjic, seminars touching on topics that are still relevant such as ‘Gentrification vs Regeneration’ and ‘Who Makes London?’ But the highlight of the festival was most definitely the cattle drive down St Johns Street to Smithfield Market, which brought thousands of Londoners, young and old, out of their homes and into the city. Stella brings to her variety of roles a wide knowledge of the cultural environment as well as brilliant organisational skills and an unrivalled ability to cajole, command and flatter in order to achieve successful outcomes.